**This listing is for one medium sized magnet. Please choose which magnet you would like to purchase by the numbers next to the photos, and write that magnet number in the "notes" during checkout. Custom orders are also available. These delightful magnets will add character and pizzaz to any kitchen fridge or office filing cabinet! 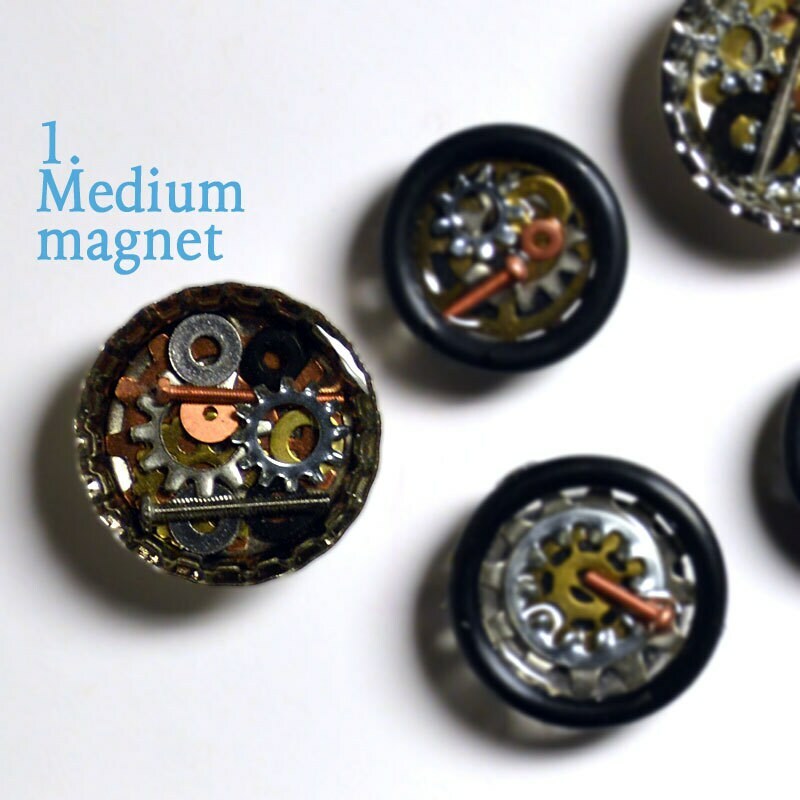 Each magnet has been carefully hand crafted using bike cogs, tiny hardware components, and non-toxic resin. A great gift for any cyclist or steampunk enthusiast! Photo 3 shows all available magnets, small, medium, and large. 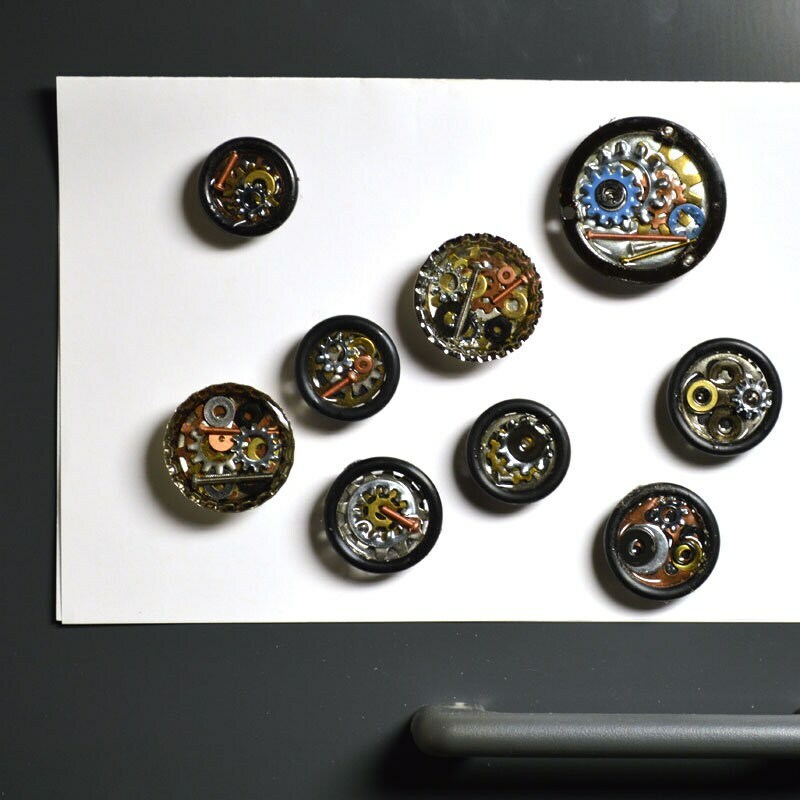 Each magnet is 1 1/4" in diameter. I can create custom orders based off of your needs and desires. 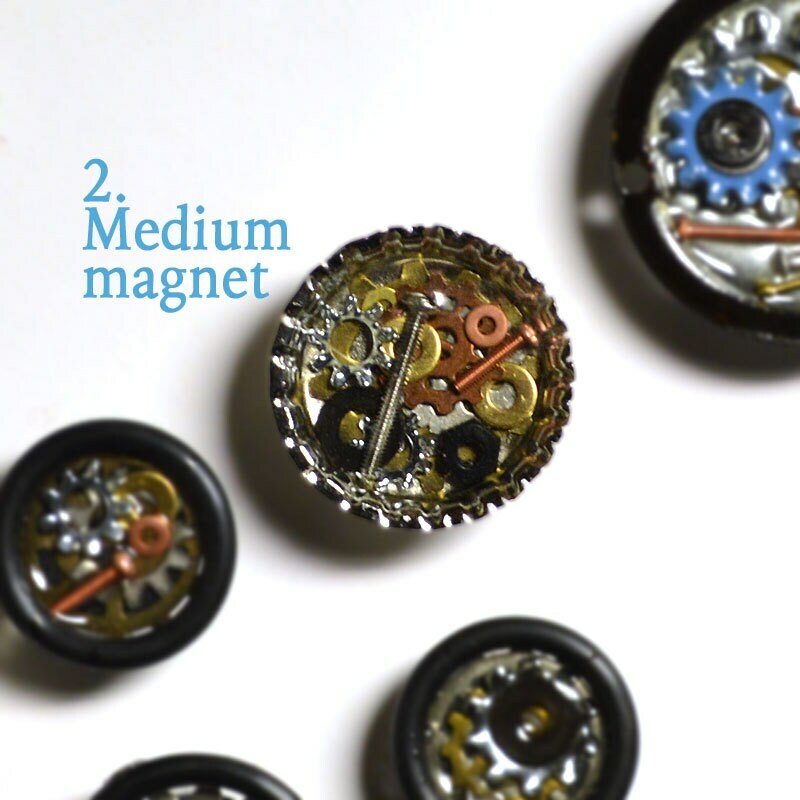 All components in these magnets can be swapped for similar sized parts or painted your favorite color. Please send me a private message and we can work together to create a piece just for you!